I recently did an install of an SMF (or Simple Machines Forum) for another site. I wanted to keep the basic stock theme, but change some the color scheme to match the website. After performing a search on Google and Bing, I couldn’t find any options other than downloading a new Theme. It wasn’t hard to find the file I was looking for with a little digging around in the Administration Center. From The Administration Center you will want to look for the ‘Themes and Layout’ link. Click this. Now look for the ‘Modify Themes‘ option. From here there is a link to ‘Browse the templates and files in this theme‘. At this point you will see a file system similar to using an ftp. Open the CSS folder and find the index.css file. Who Killed the Internet Explorer? What is Spartan? Edit: Spartan is now ‘Edge’. An intelligent decision in my opinion, now they can use the old ‘E’ icon that users are familiar with. The death of the Internet Explorer has the internet in an uproar today. On the 20th (don’t quote me on that, I never saw the press release, but hundreds of sites are claiming they did) Microsoft announced that they will no longer develop new versions of Internet Explorer. Who killed it? Well, for those of you who have only had a smart phone in your lifetime, there’s a chance you’ve never heard of Internet Explorer. Internet Explorer was the dominant leader in the usage share of web browsers for many years, post 1990’s. Netscape Navigator held the title for most of the 90’s, but Internet mogul: AOL or “America Online” bought Netscape some time around the turn of the century, and drove it straight into a wall, leaving the tracks clear for Internet Explorer to begin it’s browser conquest. How does a browser go from commanding a whopping 96% of the usage share down to as low as 11.5% in just a decade? And why are they ending support with numbers around 15-20% this year? 1999 – Netscape acquired by AOL. 2002 to 2004 – Microsoft’s new giant, Internet Explorer commands upwards of ninety percent of the browser usage share. 2015 – Internet Explorer calls it quits, IE 11 being the last supported version. So it’s not necessarily the case that Microsoft is throwing in the towel in the browser wars, but rather throwing a new warrior into the war. And who won wars better than Spartans? We’ll soon see if Microsoft does the name any justice. 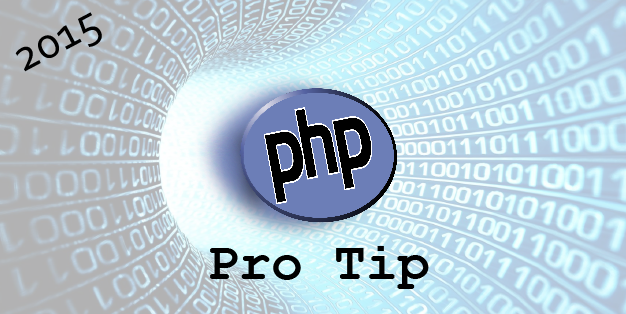 Never update the copyright date at the bottom of your php pages again!